Amnesia: The Dark Descent has been released ! For more information and upcoming contest read here. 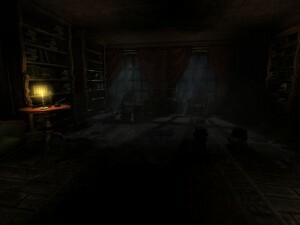 Amnesia: The Dark Descent is a first person horror game with focus on immersion. It is a game where atmosphere and story comes first. Amnesia will be released on the 8th of September and can be purchased in Frictional Game’s own online store as well as most major online retailers. We would also like to seize the opportunity and inform all that there is a 10% discount on Amnesia if you pre-order. For those who are longing for some horror gaming this weekend, the Penumbra series costs 70% less in our own store and at Gamer’s Gate! Today we also released a new trailer, it’s a developer walkthrough of the physics interaction in Amnesia. If you ever had problems explaining how the interaction in our games work, perhaps this trailer can be of use to you! Watch it on YouTube! Languages: English – with localized text for French, German, Italian & Spanish. * 1 – 2 GB RAM (depends on OS). For More information please read the frictional games blogpost about the demo.